This fun interactive dog toy will keep your furry friend stimulated and on their toes! 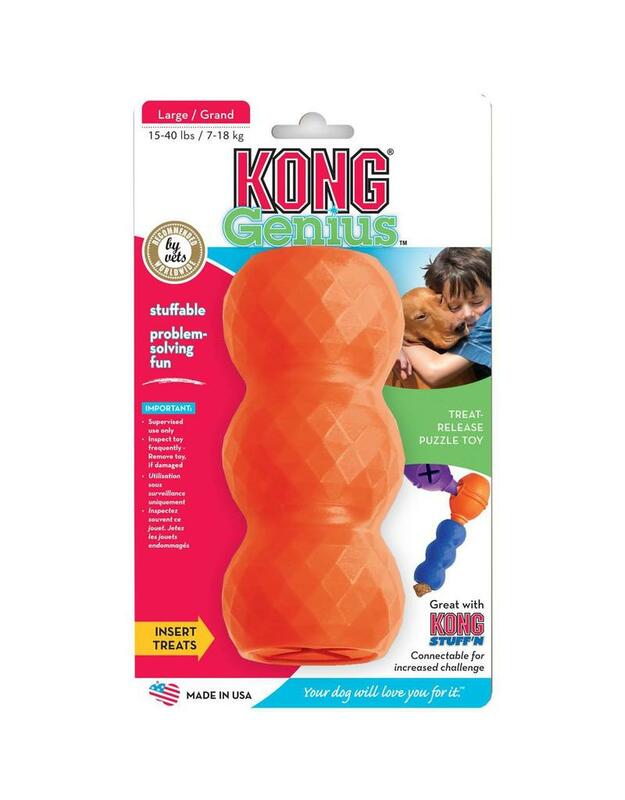 The KONG Genius Mike is designed to stimulate and hold your dogs attention. Great for helping combat boredom and great for dogs who can't stay away from furniture, shoes or other household items! Also great for separation anxiety and boredom. Great for dogs of all ages and sizes! As with any pet toy, always supervise your pet while playing. Available in assorted colors that ship at random.